What is an Inktroduction? (We understand that the fountain pen ink scene can be overwhelming. I mean with well over 100 different colours, and 18 different brands in our offering alone, it can quickly become a daunting task committing to something as simple as black. So. an Inktroduction is us, Write GEAR, giving you a quick overview of what a specific ink is like. So without further ado, welcome to our first Inktroduction. 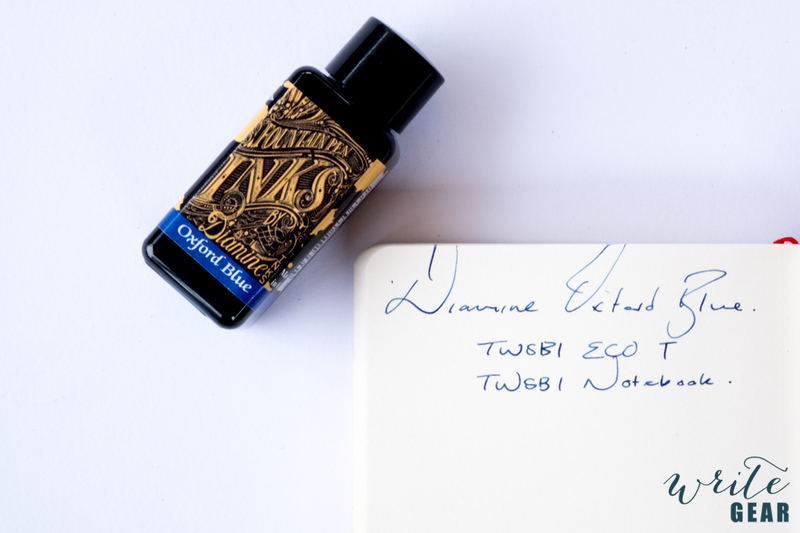 We decided to do Diamine Oxford Blue, the ink that we had inked up the TWSBI ECO T that we did a first look at two weeks ago (read about that here). This means we have had some time to get quite well acquainted with this ink and how it performs. 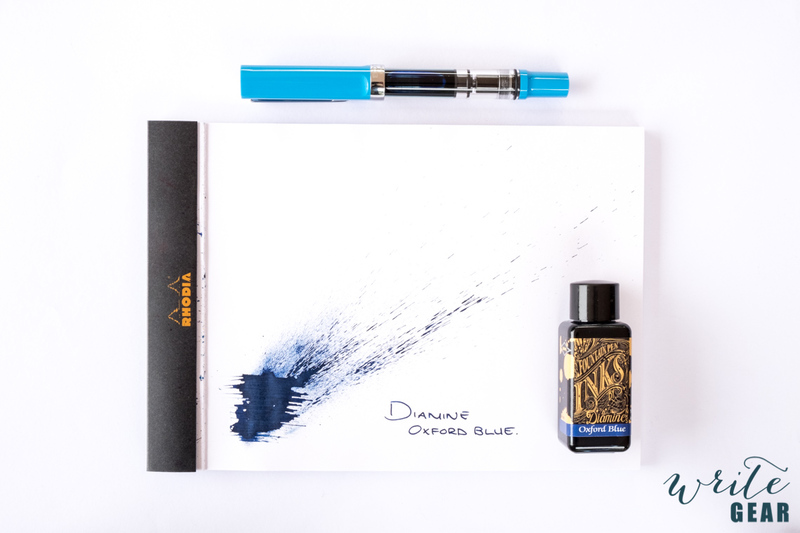 Diamine Oxford Blue was one of the new colours that Diamine released in 2016. I (Jamie) love Navy inks so when Diamine announced its release I was very excited to get my hands on it. 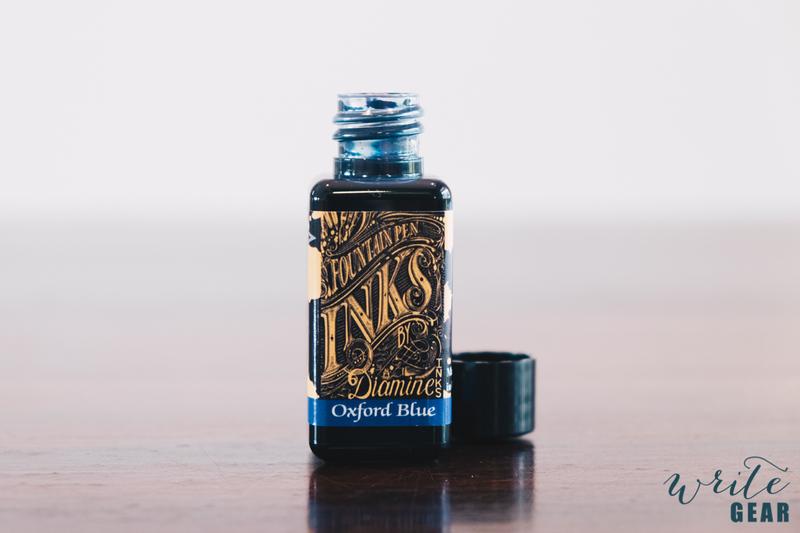 I tend to favour them over traditional Blue Black inks but that’s just me. You might lean toward the opposite. We will do our best to keep our biases aside in this Inktroduction though. We want to give a clear explanation of the ink rather than an opinion. I hope you enjoy. 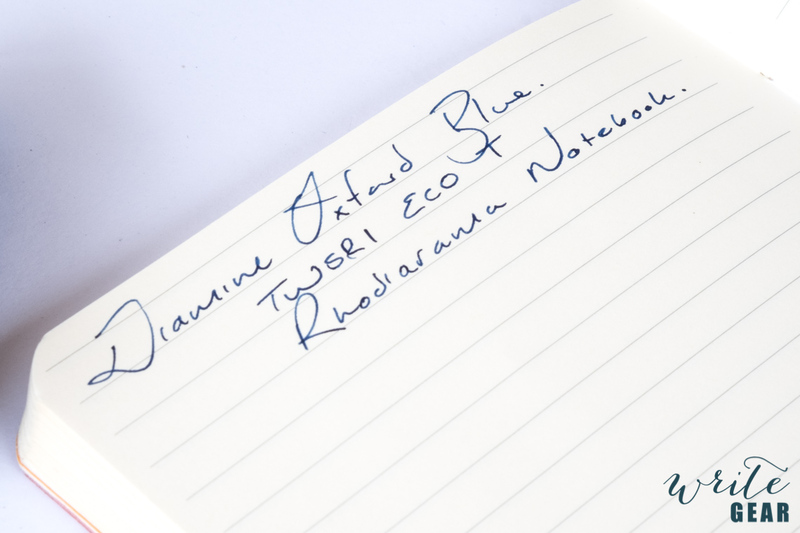 Diamine Oxford Blue is a deep rich navy blue colour. I don’t think it would be fair to class it as a blue black but it is definitely navy!! The color is dark and saturated. This ink won’t look insipid on your page. There is a slight bit of shading on some paper but nothing to write home about. If you are looking for a professional looking ink colour that is not black then this could be a good alternative. 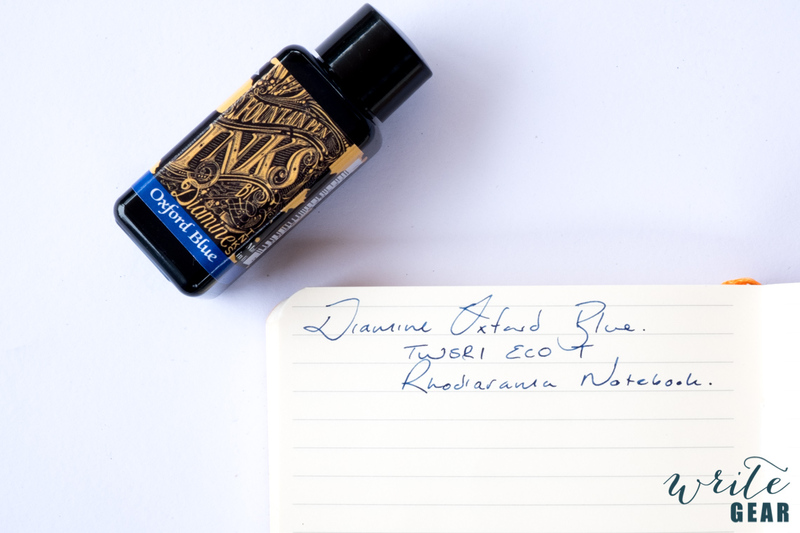 Diamine Oxford Blue is pleasant to use. It isn’t the wettest ink we have tried but neither is it dry. It’s around the middle mark as far as wetness goes. It flows well, dries in a decent time and works well on most papers. In the images here you can see that in a TWSBI notebook and a Rhodiarama notebook there was no feathering or bleeding whatsoever. On normal copy paper we didn’t have any problems with bleed or feathering with the fine nib on the TWSBI ECO T however I suspect if you are writing with a very wet medium or broad you might start getting some bleedthrough. Want us to shed some light on a specific ink you’ve been eyeing out? Let us know in the comments below and maybe we will put it into our next Inktroduction. This entry was posted in INKTRODUCTION. Bookmark the permalink.